Thorin outlines six storylines for the quarterfinals of Dreamhack Masters Vegas. Eight teams remain as the Dreamhack Masters Vegas playoffs finally begin. A new look SK Gaming battle a troubled but still tantalising Na`Vi side. Zeus’s Gambit seek the scalp of MSL’s expensive North squad. NiKo faces the final bosses once more looking to complete this quest before joining a new guild. Here are six storylines for the Dreamhack Masters Vegas quarterfinals. While Na`Vi has rarely been able to exhibit the skill potential of all of their members at any one time in a match or series, the CIS squad remains one of the most talented and theoretically dangerous in all of CS:GO. The new look SK Gaming impressed with their easy progression through to what has become a routine playoff berth for the core, but as such, they still remain to be tested. Bringing in felps, similar to Aizy’s arrival on North, forces discussion towards who will receive focus, resources and priority on the team. In the former case, it seems a waste to place such a clear future star into an elite team if he is not going to be catered for and given a chance to blossom further. felps has the skillset to take SK to the level they consistently fell just short of in the post-Cologne era of no more titles won. That gamble requires others in the team to accommodate his talents and playing style preferences, though. Na`Vi is still a team plagued with leadership issues and identity as a unit. Their individuals seem to have pieced together some better-than-nothing understanding, finally allowing them to see good performances from most of their players, but they are still not the force their names would suggest. 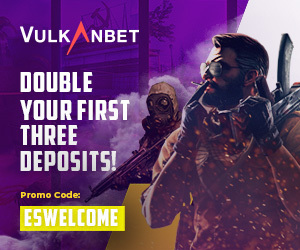 When SK goes against Na`Vi, they can certainly emerge victorious on the basis of stylistically countering the gambling CT style of the CIS squad, by being better than them in the team-play department and through championship pedigree. In the realm of skill, however, the Eastern Europeans still very much retain a potent, if not always reliable, puncher’s chance to threaten such victory on the Brazilian’s behalf. coldzera, FalleN and fer have all delivered legendary carry performances, particularly in playoff settings. Will they give felps the room to begin the creation of his own legacy or will we see him resigned to letting one of them take to the forefront of ensuring SK move on to the familiar and expected ground of the semifinals? 2. Is Na`Vi deep anywhere in their map pool? Na`Vi’s run to the playoffs of the major showed us a revitalised strength on cbblestone, this time emphasising the opposing CT side to the traditional slow but prodigious T side of old. With dust2 departing the map pool, the CIS squad have shown a surprising level of width in their map pool, playing the majority of the maps, with inferno yet to be witnessed, and coping satisfactorily on most. To be able to play so many maps is a positive, with the team of late last year hamstrung in their map pool and losing seemingly everywhere. The problem for Na`Vi is that they have yet to stake their claim as one of the world’s best on any particular map or maps. Victory in best-of-three series requires either consistently elite level performances, allowing one to have an opportunity to win on all of the maps played in the series, or specialisation on at least two maps, allowing one to always be picked and thus theoretically ensuring the minimum of a deciding third map to close the series. Na`Vi lacks that killer pick still and that will not be good enough to contend for the title, if it remains the case by the end of this competition. SK Gaming has the burden of integrating felps into their map pool and said selection had shrunk somewhat, in terms of reliability, towards the end of their era with fnx and into their time with fox. Still, FalleN’s understanding of most of the maps and his team’s history in their system ensures SK will still be at least competent on most of the map pool. This means SK make a good test for whether this is indeed a new Na`Vi or simply a slightly improved upon but still flawed side. Gambit Gaming had many intrigued after their victory at Dreamhack Winter, but a key reason why so few experts had them making a top-four run at the major was the lack of series wins against top tier competition. Victory over Cloud9 was the only result sized up to fit that bill and the more said team is seen to play the less notable that win appears, with the NA side clearly in free-fall ever since their EPL victory. North is a team who has lacked top finishes themselves in the months since their inspired victory at EPICENTER, but they have routinely lost their series to elite level competition, such as SK Gaming and Virtus.pro. As such, one narrative cannot continue further. Either Gambit will score a legitimate scalp from a ranked team or North will be forced to admit that their playoff failures have not been due to facing potential champions too early in the tournament. Ever since the arrival of Magisk on this lineup, MSL’s men have made their name and posed a threat due to their wide map pool, encompassing five of the seven maps previously and altering their ban based on the opponent’s strengths. While that approach did not yield many series wins, it did allow North to compete against practically any opponent they faced and seemingly always make it to the third and deciding map. The significance of such a wide map pool, in this instance, is that Gambit Gaming has yet to show much in that regard. With cache being a ban they have inherited with Zeus’s leadership, matters become even more tricky for the CIS men, as North famously rotate that as one of their own frequent bans. A win on inferno perhaps adds to the tools in Gambit’s arsenal, with North looking more than uncomfortable on it in their opener against OpTic; but beyond that, there are advantages all over for the Danes. Gambit is undefeated with this lineup on cbblestone, but as OpTic learned, North is more than happy to allow that to be the opponent’s pick, as the map has always been one MSL’s teams have enjoyed playing. As a result, a team which picks cbblestone against North finds themselves giving an opening to MSL’s side to gain victory outside of their own pick, as even Virtus.pro almost found at the major. To beat North, Gambit will be forced to showcase more than their cbblestone, with MSL gifted the opportunity to push them towards the likes of overpass and nuke if he pleases. This series is not just about Gambit winning a full series against a ranked opponent, but also about seeing how wide the Gambit map pool really goes. When device and dupreeh’s Copenhagen Wolves and Dignitas lineups were steadily climbing towards contendership in 2013 and 2014, the consistent name blocking their progression to championship status was the core of this very NiP lineup. 2015’s breakthrough, winning a total of five events, saw the Danes seemingly banishing said demons and beating the Ninjas when it mattered. The exorcism was far from perfect, though, and a difficult 2016 for Astralis did not just mean poor placings, but more importantly, reverting to seeing themselves bested by NiP in so many elimination series. The gla1ve era of Astralis saw his team overcoming NiP convincingly and going on to become the major champions they had always teased potential towards becoming. As the old saying goes in Brazilian Jiu-Jitsu, “hang in there when you are the nail and then smash them all when you are the hammer.” Now that Astralis is the best team in the world, with advantages in every area against NiP, this is their time to pay back their old nemeses with yet more revenge and another early elimination of their own. 5. Does NiP retain a strong mentality? As Virtus.pro has routinely demonstrated, even during times of individual slumps and strained chemistry, a strong collective mindset will keep a team in a match and provide opportunities to win nonetheless. NiP was another team which always fit that bill, and thus could not be overlooked for teams who were less resilient psychologically. Astralis was so often a team who could fall apart when put under pressure and NiP won many series largely thanks to that, more than out-playing or out-performing the Danes. The problem for GeT_RiGhT and company is that this NiP has been unable to maintain such mental strength for prolonged periods. They concede maps mentally when beaten down early and show difficulty recovering from back-breaking rounds. 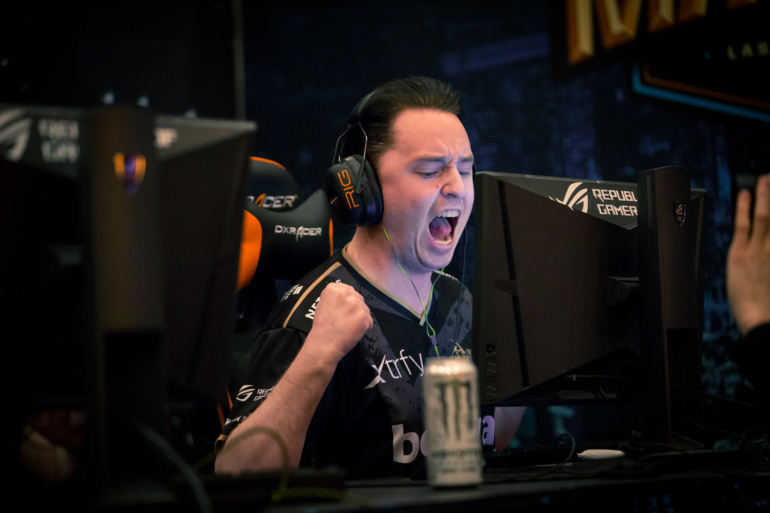 NiP’s only real chance against the major champions is to hope they can invoke a similar dynamic as past years. To do so will require NiP to put Astralis consistently under pressure, though, something only Virtus.pro has thus far managed to accomplish with said degree of consistency. If NiP cannot make device and the gang feel the weight of the playoffs, then they face a team more than capable of picking them apart stylistically, beating them from a talent standpoint, out-matched in the map pool and at risk of seeing the Danish side frontrunning early to avoid any danger. How much of that NiP magic can be summoned once more? The peak of NiKo’s career accomplishments in mouz was his carry performance pushing the lowly mouz through to the semifinals of ELEAGUE Season 1. When there, though, and with the world watching to see what he could do, the Bosnian prodigy was frozen and frustrated, incapable of even playing up to the level of being the best in his team, nevermind the best player in the server, which would have been required for mouz to possess even the hope of victory. With this competition as NiKo’s final hurrah in mouz, the superstar has found himself and his team playing with much more abandon and seemingly none of the frustrations which so frequently plagued them last year. Even better, the long awaited arrival of oskar and the Czech player’s own considerable talent has given NiKo a potential sidekick, the likes of which he could never have hoped for in past lineups. NiKo will be throwing up FaZe hang gestures soon enough, but what could be his last match in mouz colors provides a chance to show the world and Virtus.pro that he can deliver his hall-of-fame worthy individual performances even in the playoffs of a big competition and against world class competition.